Shaykh Muwaffak Tarīf addressed the uproar in the Druze community over the Nationality law expressing his resentment for the legislation; ‘We stood with the Jewish people and the State of Israel for 70 years’; He called on the Israeli public to join them in protest and demanded the law be amended. 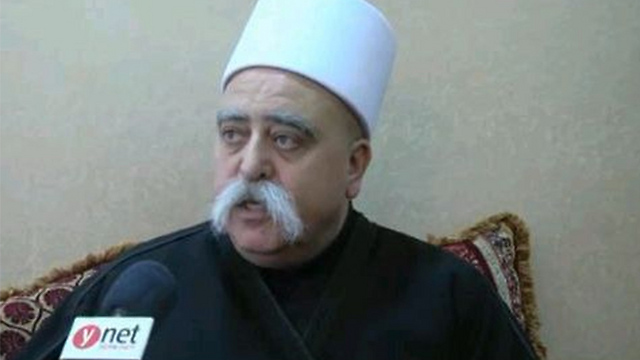 Shaykh Muwaffak Tarīf, a spiritual leader of the Druze community in Israel, said the Druze community in the country is furious with the newly passed Nationality Law and is calling to urgently mend the rift. The shaykh expressed his resentment over the law in an exclusive interview with Ynet on Thursday. “All the members of the Druze community—the shaykhs, the soldiers and the officers—are asking why did this happen to us, to such a small community that has stood with the Jewish people and the State of Israel for 70 years, unconditionally,” he vented. 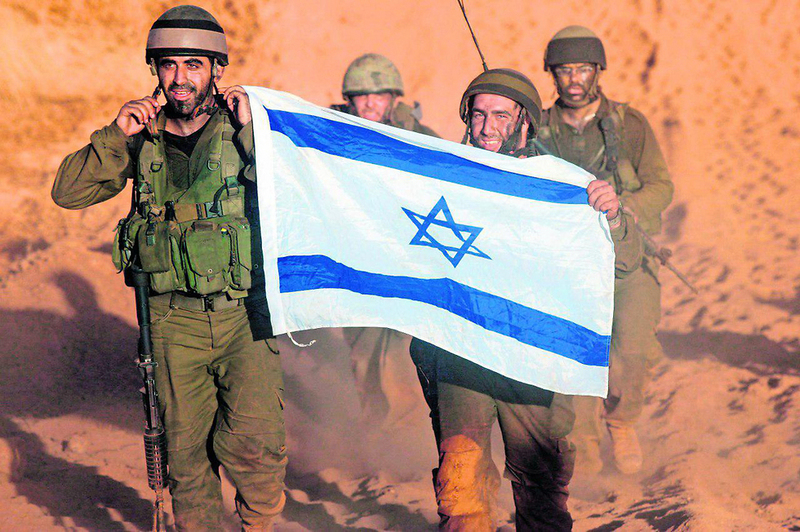 “We are proud of Israel,” Tarif continued, “and our people are dying for this country, but unfortunately, for some reason, the Druze issue is absent from all the articles of the law that was passed by the Knesset. Our community is giving its all to Israel. We’d like to show the entire world that everyone who stands with the Jewish people is treated as equal, unfortunately, at the moment this doesn’t seem to be happening,” he added. The shaykh also said that he shares the sentiments of those who claim the Nationality Law is a betrayal of the Druze community by the Israeli government. “It is very unfortunate, painful and distressing. I appealed to the prime minister on Wednesday, sent him a letter and also spoke to the head of the National Security Council and asked to discuss with him this issue. The prime minister has already invited the leaders of the Druze community to a meeting he intends to hold on the matter. I hope we will find the appropriate solution and do everything in order to alter some of the articles in the law or to add new ones. “The Druze community, doesn’t mind the fact the state is Jewish … we don’t dispute it, but we want to be partners, just as we are partners when it comes to serving in the IDF,” he explained. Tarīf also addressed a possible reaction by the Druze community in case the discriminatory articles in the law will not be amended. He also said that he does not intend to encourage tougher measures such as calling on the Druze community not to enlist to IDF. “I dislike these types of measures. We are loyal citizens, we proudly serve the country, we are willing to give everything for it and we deserve the same treatment in return. “Today, the percentage of Druze enlistment to IDF stands at 84 percent, which is more than the overall percentage in Israel. The percentage of those who enlist in combat units is over 60 percent, while among the Jews it is 40 percent,” he elucidated. He also went on to say that Druze soldiers feel a lot of “resentment, anger and frustration” over the Nationality Law. He has called on the government to not only mend the current rift as soon as possible but also to address many other issues affecting the Druze community. “We have to mend this rift. The community deserves better than this. However we shouldn’t forget there are many other issues we have to deal with—housing, planning and construction and many other problems for which we must find a solution,” elaborated Tarīf. Shaykh Tarīf concluded the interview by expressing his hope that a solution can be found, whether it’s amendments to the current legislation or an entirely new law that would give protection to the Druze minority in the country. Majalli Wahabi, a former deputy foreign minister and a prominent member of the Druze community, also shared his views on the matter saying that as someone who used to oppose the treatment of minority communities in other countries around the world, it pains him to see such a discriminatory law being passed in Israel. “I feel like a second class citizen,” he concluded.